I hate ladders. Especially since my ceilings are 10 feet. Don’t get me wrong. I love my tall ceiling but I don’t like climbing up ladders to paint the wall edge next to the ceiling. 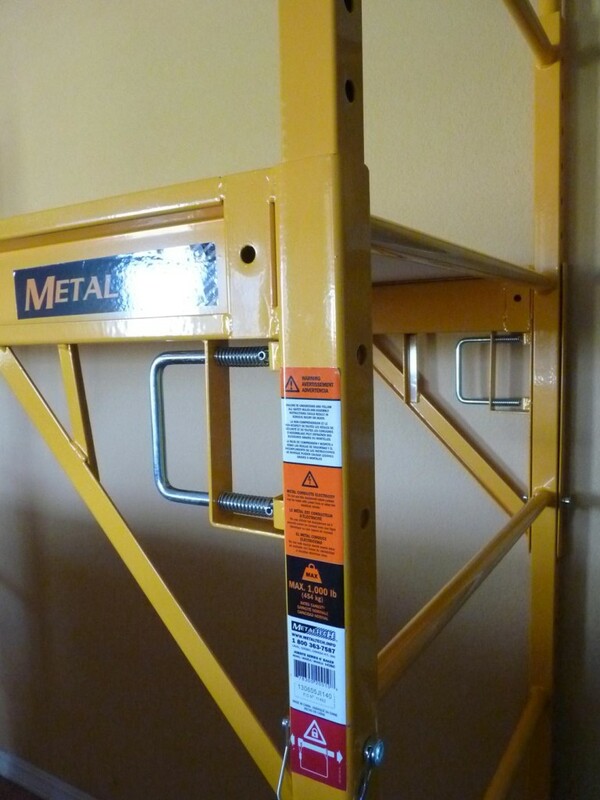 Solution: Metaltech Multipurpose Maxi Square Baker Style Scaffold – 1000Lb. Capacity, Steel, Model# I-CISC . 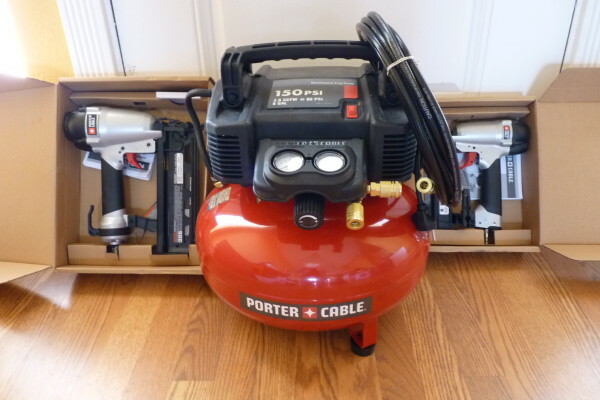 I ordered this several weeks ago from Northern Tool + Equipment but had not set it up to use because I had already finished painting in the first bedroom. 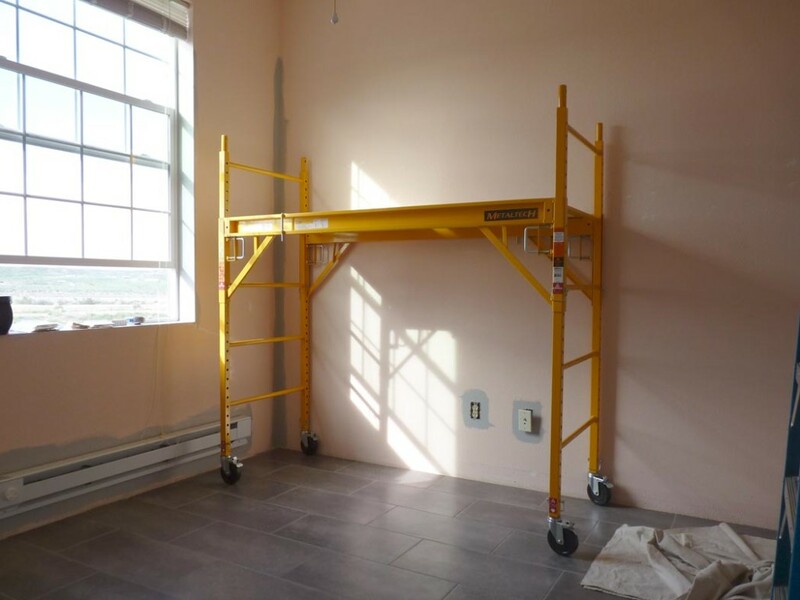 With the second bedroom ready for painting, I set up the scaffolding in order to give it a try. Set up was simple. Just one page of instructions. While one person could do the set up, I highly suggest having two to make things much smoother. 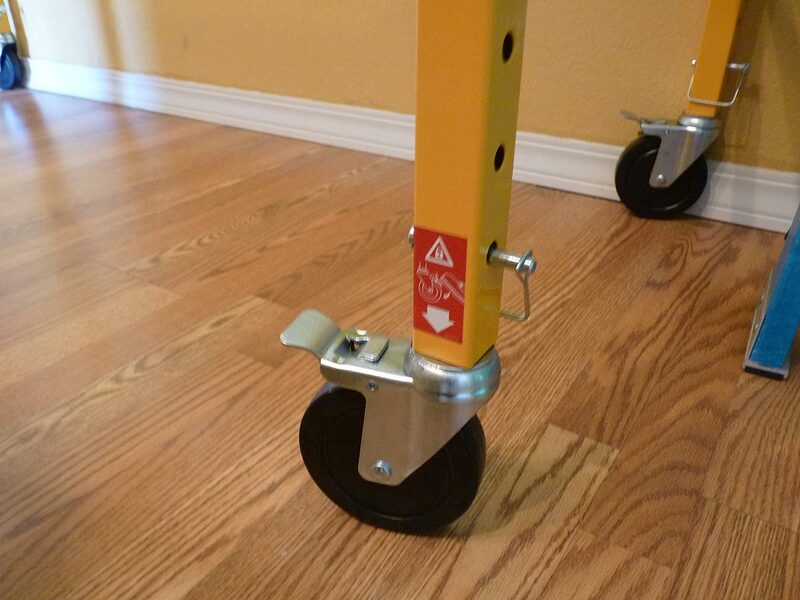 Basically, you put the casters on the end frames, then add the side bars at the desired height. Lastly, you place the decking on the side bars and lock in. Done. Easy. Adjusting the height is accomplished by pulling back on the spring loaded handles and sliding the bar to the desired position. It does take two people to (easily) adjust the height, but once set you don’t really need to adjust it again if all your ceilings are the same height. At first, getting up on the deck was kind of scary being that high with nothing to hold onto. After a few minutes though the benefits were evident – stable, less up and down and moving. It’s rated for 1000 pound capacity so there’s no need to worry about it being sturdy enough – even of you were to have two people on it. The deck is approximately 30 inches wide by 6 feet long and locks in place via pins that goes into holes on the bottom side and held down by spring loaded clamps on the top. To get up onto the deck, I assume you could climb the rungs on the end, but I just used a ladder to get up there. 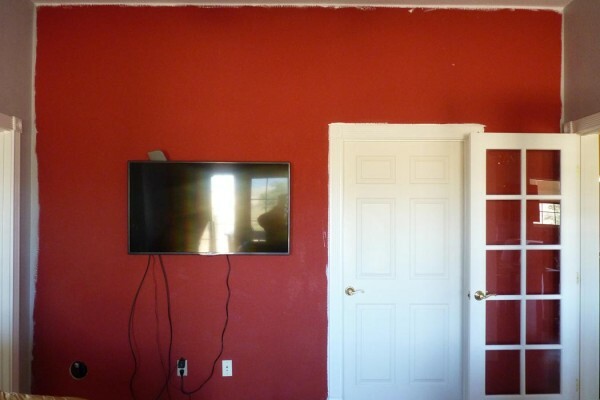 I was actually able to paint an entire wall (and part of the adjacent wall) without having to move the scaffolding. 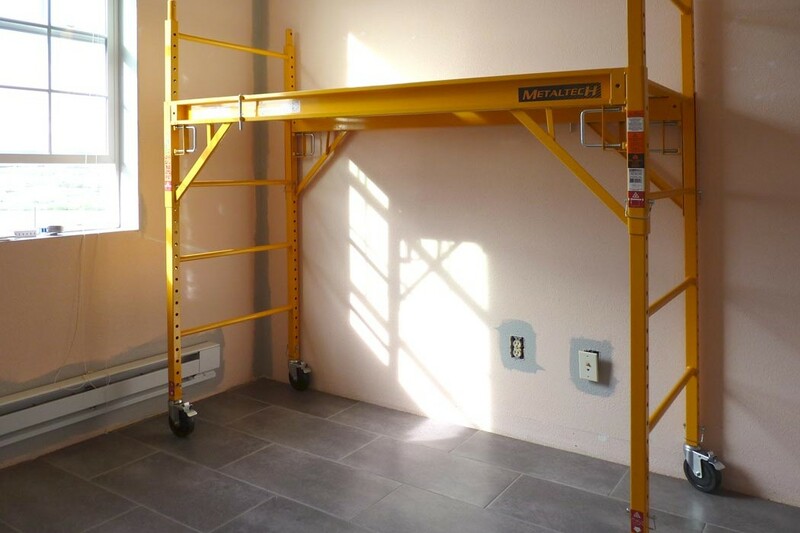 Of course this room is small (10 x 10) but it certainly saved a lot of moving around that is necessary with a ladder. 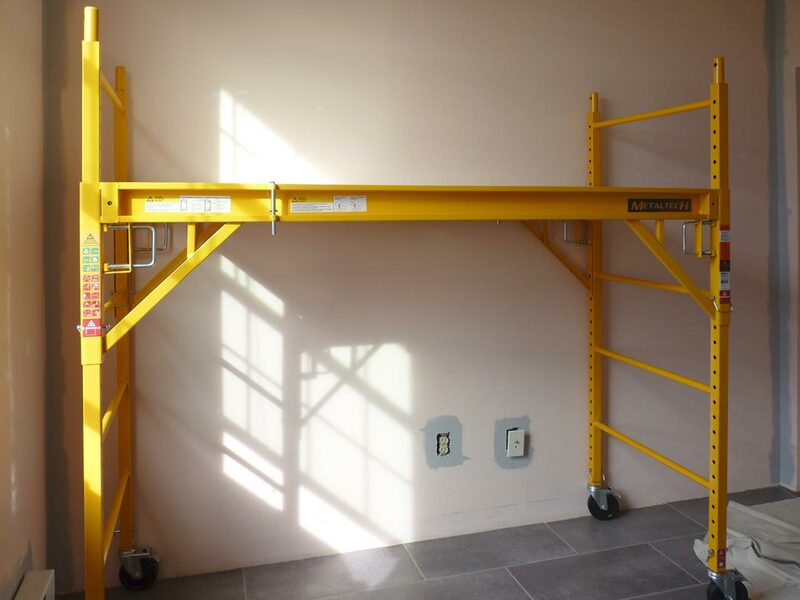 The scaffolding was about $160 – caught it on sale. A steal when you compare the cost to the aching muscles from constantly climbing a ladder! 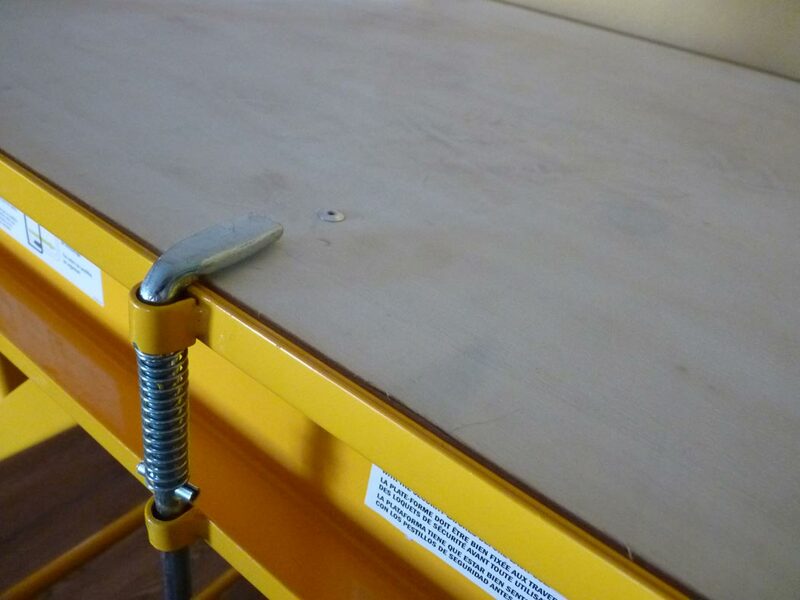 The wheels lock which make the scaffolding steady when in use and unlock for easy moving. Very easy for one person to move. And since all our doors are 36 inches wide I can just wheel it through to the next room with no issues. 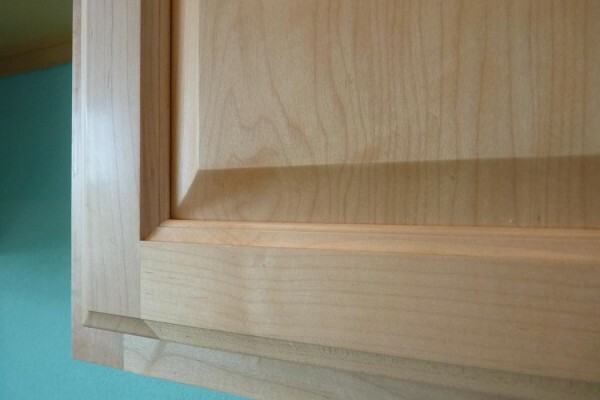 Actually, I believe it’s narrow enough to fit through standard 30 inch doors if your careful. Overall, a great purchase that I can recommend if you have a lot of painting (and high ceilings). I would definitely buy again!